The most Meya comes from a traditional farming and livestock family. Dedicated mainly to the breeding of cows and horses Ceretanos (Hispano-Breton), although like all the old masias also of poultry, rabbits sheep and other animals. Cultivation of pastures, wheat and potatoes. Next to the owners' house, we have 4 totally independent apartments for 4 people each in the old hayloft. 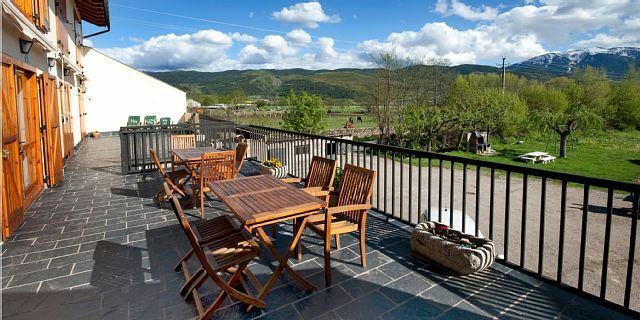 They are divided into 2 floors and due to their south orientation enjoy sun and privileged views of the valley of the Cerdanya throughout the day and at all times of the year.